The Essex was first introduced in 1940, although the name was reused again in the 1950's with another model. The 1940 Essex appears to be like other flexible-lugged models but has fixed lugs instead. I've heard of flexible versions out there but I have never come across one and the case doesn't look like it would accommodate flexibility. It was produced through 1946 with production interrupted by the war. It came in a yellow gold filled case as well as a coral (rose) gold case. The coral version is more rare and, thus, more collectible. 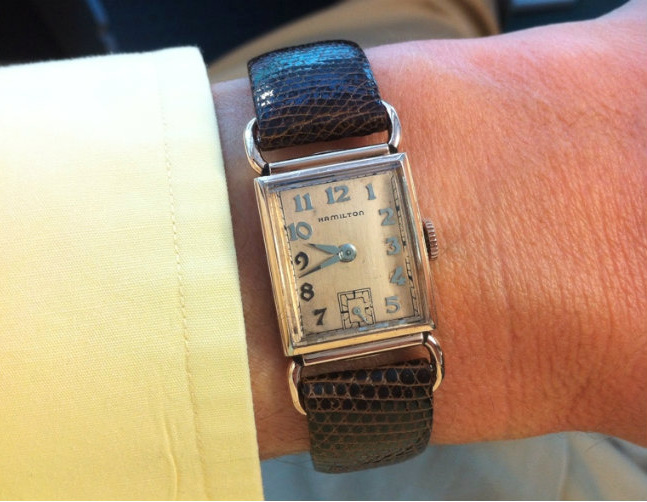 Both cases contained the 14/0 sized, 17 jewel 980 movement with sterling silver dials with 18K gold numerals. However, the dial colors differed between the two and the coral model has rhodium plated gold numerals with matching hands. For whatever reason, the Essex is easily found in very worn condition but much more challenging to find in good shape. Typically the fixed lugs and the corners of the reverse really take a beating. 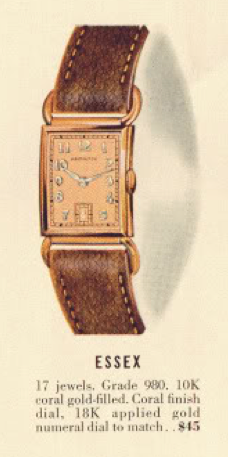 Since the lugs are fixed, a supple strap is really needed to bend over the looped lugs so the watch wears comfortably. A stiff strap makes the watch lay very flat on the wrist and many times you'll find the Essex with the strap under the lugs, rather than over them. 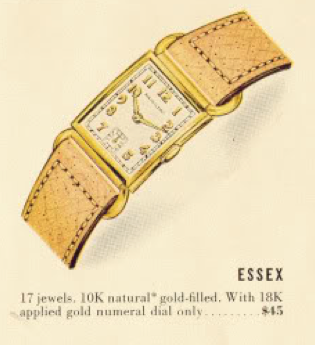 The Essex is often confused with the Wilshire, which also came with yellow and coral gold filled cases. The Wilshire is slightly wider and has flexible lugs. It also had gild dial options in addition to AGN. I like the Essex though and locating a really nice one would make a welcome addition to any Hamilton collection. I have a registered edition Essex from the 1980's to the late 2000's. 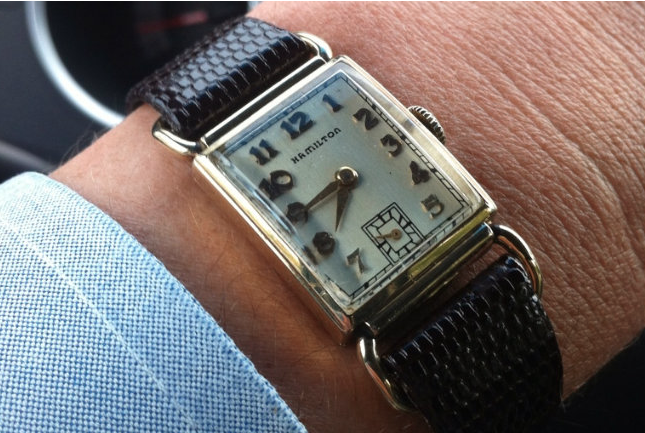 Does this take the same crystal as a 1940's model Essex? If so which serial number crystal might it have? I strongly doubt that there's anything in common between the 1940's Essex and the 1980's registered edition other than the name. You'd have to measure the existing crystal in order to specify a replacement.